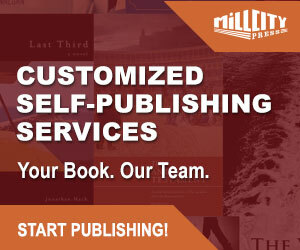 Publish Green is the e-book publishing division of Hillcrest Media Group, based in Minneapolis, USA. Launched in 2011, it provides a full range of e-book services, from file conversion, formatting, editing, distribution, marketing and custom web design to authors (both self and traditionally published) and small presses. Our patent-pending eBook formatting techniques are unique to Publish Green—no one else in the industry does exactly what we do. We’re constantly pushing the boundaries of what can be ‘done’ with an eBook—from complex textbook layouts to illustrated children’s books, we’ve got it covered. Publish Green is more a one-stop-shop for e-book publishing services than companies like Smashwords and Amazon’s Kindle Digital Publishing (KDP), and their extent of services for formatting and enhanced e-book features is better than what some dedicated conversion and distribution services like Bookbaby provide. For that reason alone, I’m going to try and avoid making too many direct comparisons with other companies because I think this is sometimes like comparing apples with oranges. Publish Green (PG) is not really aimed at the DIY self-published author who wishes to take a more hands-on approach to pre-production work like designing and formatting an e-book. I know many authors who have become very accomplished at producing print ready files for companies like CreateSpace, Lightning Source and IngramSpark, but still find preparing e-book files frustrating and time-consuming. PG is very much an e-book publishing service provider for first-time authors new to e-books, and also those unwilling or unable to take on the task of formatting their own e-books. All that said—and because PG’s services can be individually purchased—there are services on offer that might be of interest to all authors, particularly those taking on complex e-books with enhanced features. I like the design and layout of the PG website. There is plenty of information and it is presented in a fully transparent way. Many of its web pages feature a ‘call to action’ to download a pretty useful free e-book guide (in multiple formats), The Basics of eBook Publishing. Strangely, the offer of the e-book (email and name required) does not appear on the main landing webpage. What I particularly like about this guide—unlike other self-publishing services offering brochures about their services—is the fact that this guide deals with the basics of e-books for authors unfamiliar with them in simple non-tech language and crucially there is no attempt at a hard-sell of PG services throughout the e-book guide. Early on in The Basics of eBook Publishing, PG remind authors that while most books can be published as an e-book, some books are not quite so suitable and present challenges—static books in a magazine format, some graphic novels, complex reference books, bibles and books with two or more column layouts. Books with complex layouts is a strength of PG because all their books are designed and formatted by a ‘real human.’ I’m not quite sure what an unreal human is, but I take their point! PG is clearly making a play for authors frustrated by companies offering free e-book publishing using online, automated, conversion meatgrinders and design tools. It’s an area companies like Bookbaby and Draft2Digital have also targeted. At Publish Green, real people who care about your eBook do all of the formatting. Each eBook has a single, dedicated formatter who goes through it line-by-line to make sure everything looks perfect. as an author, you want your ebook to look professional on every ereading device, and Publish Green makes sure that it does. Publish Green can convert many different file types, including Word, Indesign, and PDF. You give us what you have, and we take it from there. Publish Green does not have any specifications or style guides for the files you submit. PG offer four distinct e-book packages—Basic, Advanced, Premium and Professional. I have to say that the Basic at $199 is less a package and more a standalone file conversion service (for Kindle, iPad, Nook, etc) and for that reason I don’t think it should be listed as a package offering, as such. The Basic is intended for authors who wish to look after distribution themselves. Let’s take a closer look at the other three packages. For that extra $200, authors will be disappointed that distribution remains limited to Amazon and iBooks. That alone may be a turnoff to some authors who have looked at distribution options available from Smashwords, but again… apples and oranges. The Premium package includes almost all of what an author would need to reach the stage of marketing (with some preparation advice), together with the manual support for formatting and conversion, and full distribution. I think the Personal Sales Page is an excellent service and useful for authors confident of generating direct sales from their website without a third-party impacting on their royalties. I’m not sure why the Author Website Creation service is included as standard in the Professional package (individually priced at $699). 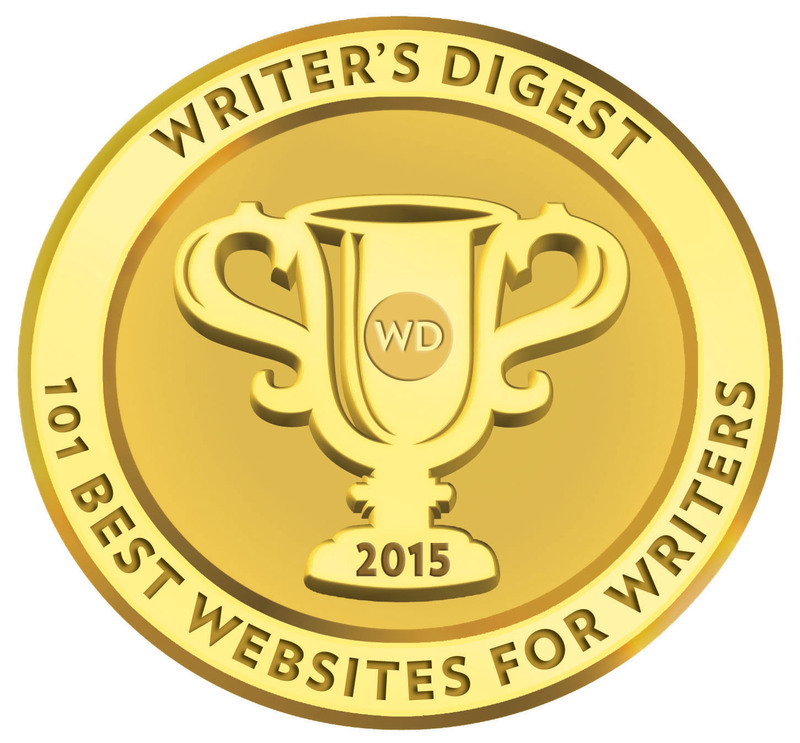 It seems to making up the bulk of the price step-up from the Premium package, and I would have thought many authors might already have some kind of website in place already. Liz Schewe of PG addresses this. While I appreciate Liz’s point, that the packages contain discounts against what it would cost to buy each service separately, I still think in an effort to please everyone with a suitable package, PG is compromising the fact that much of their services are al-la-carte, but the packages still need a little rejigging. I’d prefer to see one package offering conversion, formatting, ISBN and copyright; while another adds full distribution, DRM and the Personal Sales Page fulfillment. And perhaps then a third package including all the bells and whistles. That, or PG should scrap the packages altogether, and just offer incremental discounts for the more individual services selected and bought. PG offer various levels of editing (submissions must be in MS Word doc or docx), complex formatting and provide some nifty tools to cost this out. I should add that when authors decide on editing, they may find cheaper quotes from freelance editors. In costing this detailed breakdown, I`m conscious authors will also be struck by potential additional fees on word counts, images, footnotes, and overall document complexity. For example, there is an additional fee for files submitted in PDF and InDesign when uploading to PG. *Amazon.com takes a 30% trade discount (as opposed to 65%) so long as the price of the eBook falls between $2.99 and $9.99 and the author/publisher agrees not to sell it for less anywhere else. See Amazon.com for more details. PG refer to royalty payouts and reseller fees through most other online resellers as 55%, but this is a generalised mean figure varying between 45-65%. Considering PG has already stated above that many authors who work with them are first-time authors, I think it could do a better job at explaining the breakdown with a better chart. PG authors get a 70/30% split in their favour for sales through Amazon Kindle and Apple iBooks. Other resellers may offer less favourable terms to the author/publisher, but the critical point is that PG take no cut and reseller terms are set by industry standards, whether the reseller is observing wholesale or agency terms. PG allow the author to set the retail price of their e-book, but suggest a price of somewhere between $2.99 and $9.99 to ensure that authors received the maximum royalty possible. Instead of querying individual bloggers and asking them to review your book, we put it into a database where over 88,000 reviewers, librarians, booksellers, and media professionals can see it and request a copy to read and review on their e-reader. Rather than spending the time and money to print and send out several individual copies of your book, our publicists will simply send them an electronic PDF of your book, along with the book cover image and all the book information they need. While PG supply ISBNs to authors in its publishing packages (registered to PG), authors can supply ISBNs registered to them and use the name of their own publishing imprint. Crucially, and I believe this is a really important point, authors own the production files (cover and interior). Many full service print and e-book publishing services will not return production files to an author should he/she choose to terminate the contract and go elsewhere. Indeed, at best, publishing service providers will charge an author for return of those files. PG will not charge the author a fee for file return and will return ‘clean’ files if the author chose to use PG registered ISBNs by removing the company logo. That means an author doesn’t have to start from scratch if they go to another publishing service. PG authors are also free to terminate the agreement at any time. The PG agreement is available to review here. PG is has a strong distribution network (including Kobo and Scribd) though I think that should be included in the Advanced package (it can be added for $179). As I indicated earlier in this review, the packages perhaps need a little rejigging, but the strength of PG is offering services in a packaged form, or on an individual add-on basis. PG probably isn’t for hands-on DIY author, but for first-time authors and authors frustrated with online conversion grinders chewing up their files and churning out less than satisfactory results. Where PG really shine is formatting e-books manually, and the ability to tackle complex e-books for authors. I hear countless stories of authors unhappy and that they cannot find a satisfactory service for graphic novels, and books with enhanced formatting features. PG is strong on customer support and can be contacted directly by phone, email, online chat or Skype. Its backend step-by-step workflow makes it easy for authors to follow and have input on the production of their book. The ability to sell directly from an author website and allow PG to look after the e-book fulfilment (with DRM protection) is a real plus. 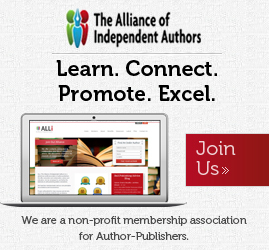 PROS—Non automated and enhanced formatting, impressive distribution and library network, a la carte services (that can be added or bought individually), no publisher cut on author royalties, all services in one place, custom e-book covers, DRM on direct author website sales, author owns production files, author can use own ISBNs & imprint name. CONS—Surcharges and fees apply for some book files and formats submitted (PDF & InDesign), third-party reseller sales are paid quarterly, royalty breakdown needs to be more thorough for all differing channels, publishing package structure could be reworked better. Thanks for the feedback, Clara.